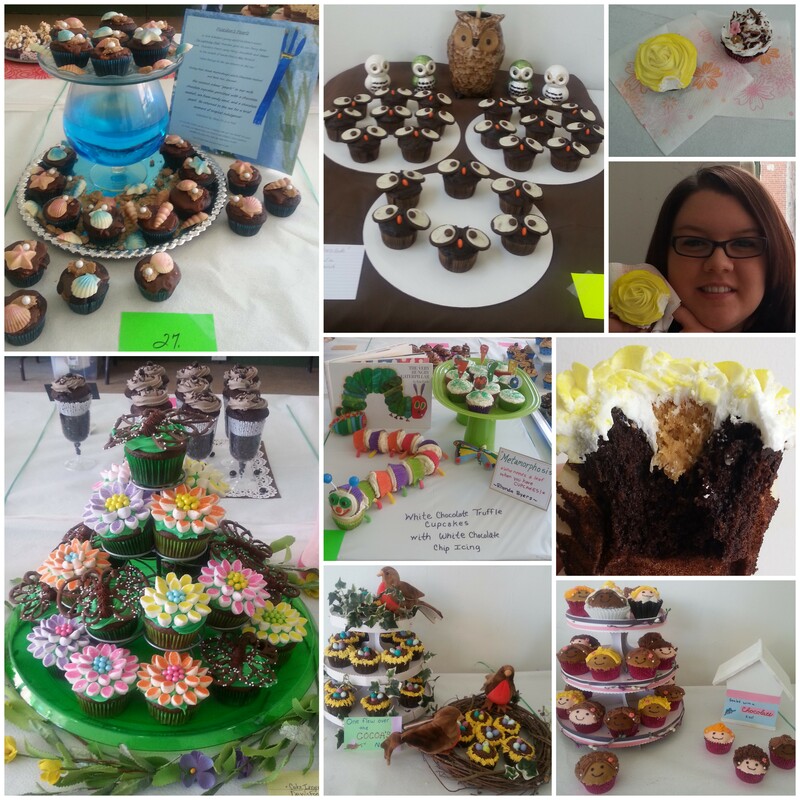 Early yesterday morning, my friend Sharon and I left for a short road trip into West Virgina solely to experience the awesomeness that is Martinsburg’s Chocolate Festival and Book Fair that ran from 10am-4pm. We wanted to experience the “chocolate walk”; a walk from small business to small business, extending three blocks on Queen’s Street, in which each participating shop provided chocolate tasting (all different sorts), as well as housing an author–allowing store visitors to chat with them, purchase signed books, pick up awesome swag, and even enter raffles for giveaways. 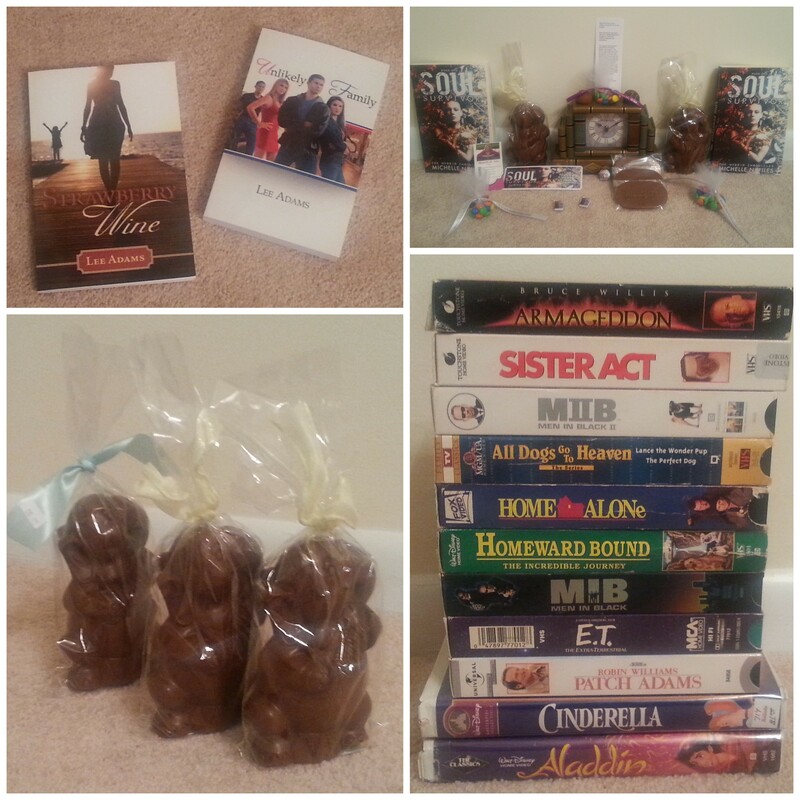 All this–and it was only $5 admission (which paid for the chocolate portion–the author portion was free). Truth be told, I wasn’t sure what to expect upon arrival in Martinsburg. 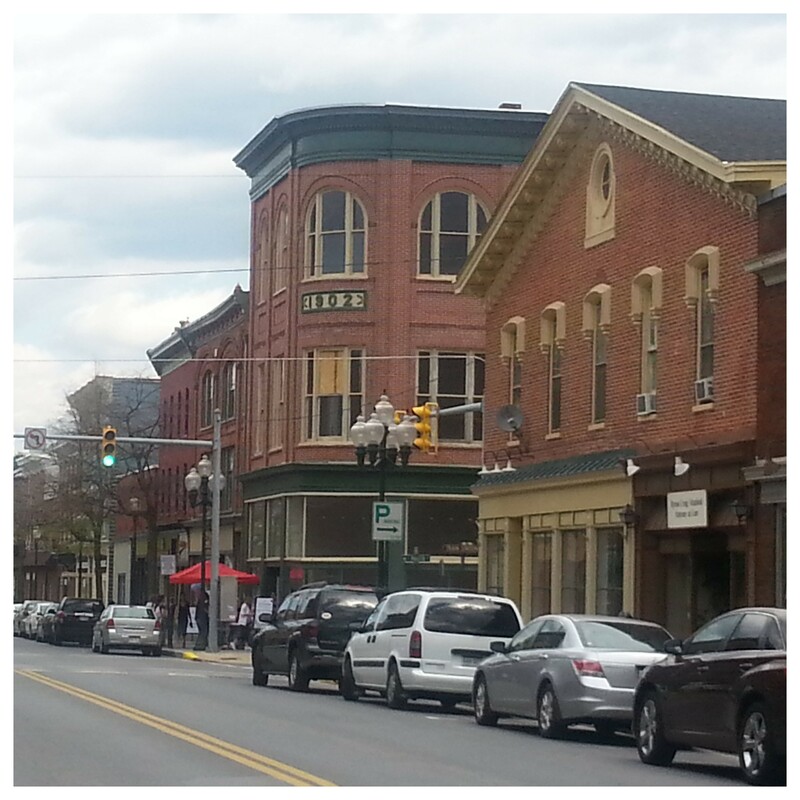 Parking is free on the weekends, and it’s a very cute, classy town full of beautiful shops–but my main concern was this: would there be enough to do from 10am-4pm? With 23 stops on the chocolate walk, including a chocolate factory tour and showing of the classic Charlie and the Chocolate Factory, the answer is, indeed, yes. There’s TONS to do. One author I especially wanted to see was Michelle Files, stop 21, so that’s where we started–at the All About Fabric store. As a book blogger and UtopYA attendee, I already knew Michelle, and I was excited to see her again (she’s the main reason we made the road trip). 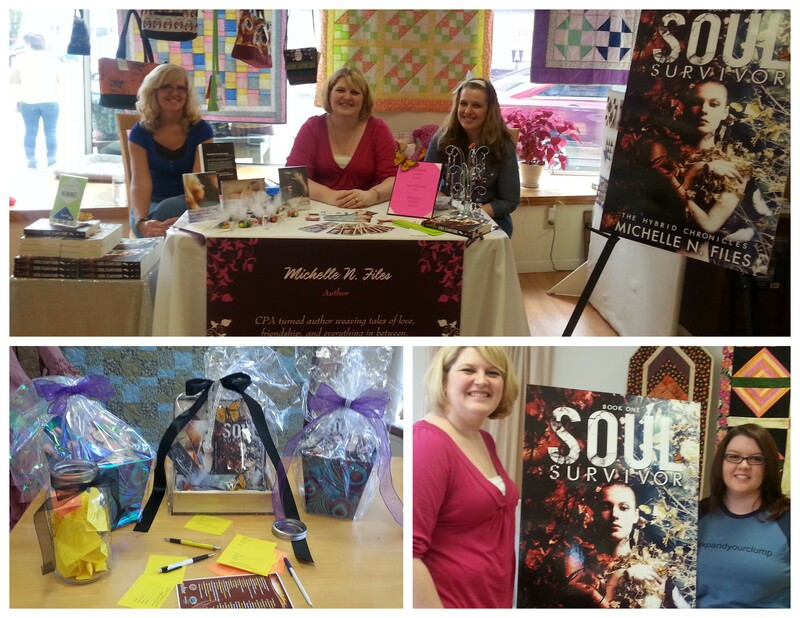 From Michelle File’s stop, we made our way down the list, going from store to store, chatting up authors and browsing store merchandise. 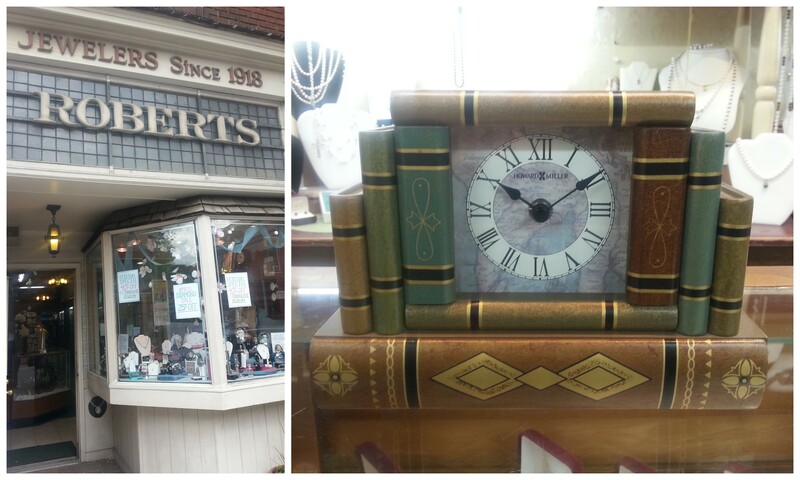 In Roberts Jewelers, I came across the most magnificent clock, perfect for a book lover like me, and just had to have it–plus the chocolate in the jewelers was absolutely divine. We wandered around a few more shops after our kitchen tour, and then went out to dinner with Michelle Files, driving through the beautiful countryside and visiting Shepherd University before our trek back home. And I have to say, yesterday was indeed one of the best days ever. 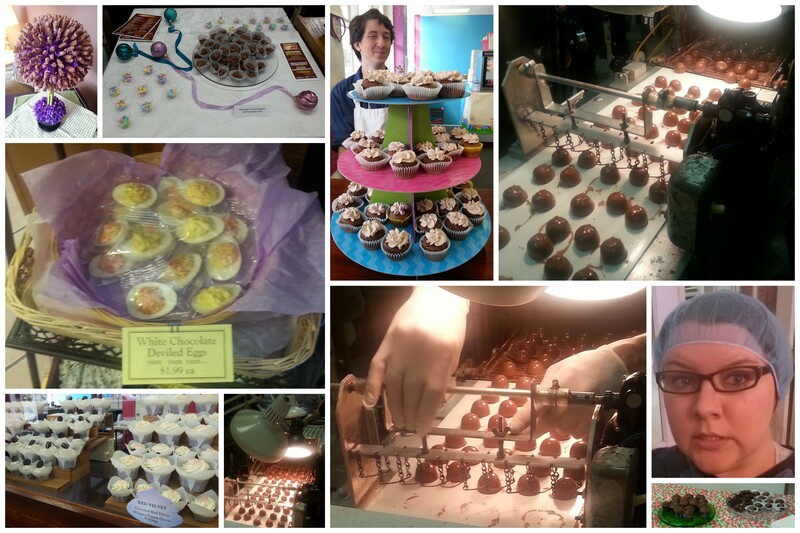 Great friends, great food… yummy chocolate, and awesome books–what more could you want in a festival? 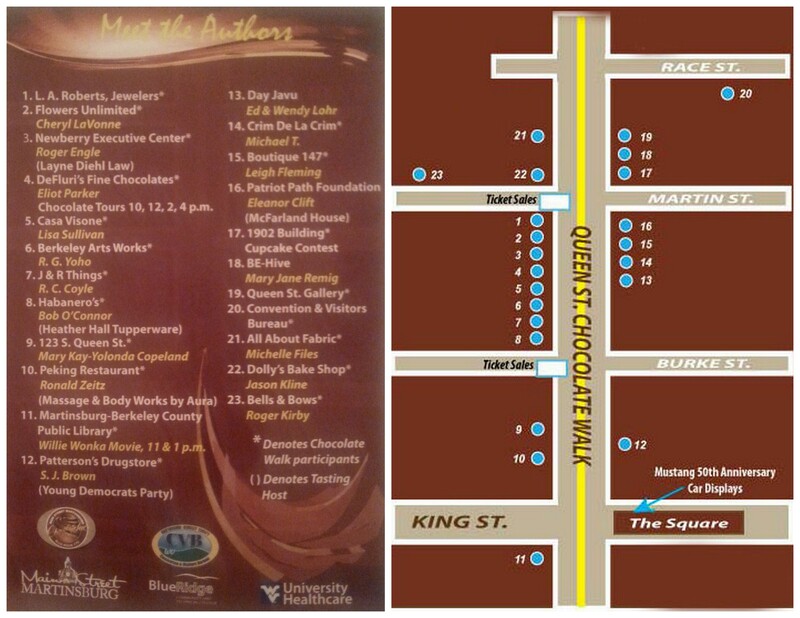 Make sure you plan on coming to the third annual Chocolate Festival and Book Fair next year, 2015, so you can experience all the fun, meet great authors, and eat all the chocolate you could ever want–and if you’re an author close to Martinsburg, make sure you apply to be a part of the chocolate walking tour next year–I’d love to see you there! Michelle was born and raised in wild, wonderful West Virginia. 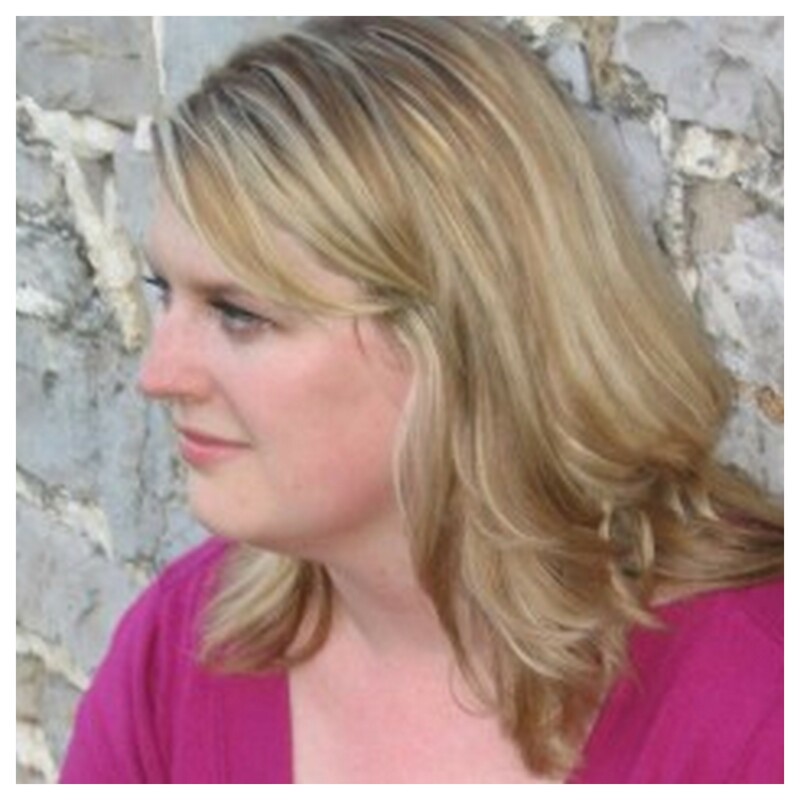 While her first passion is numbers, not long into adulthood, Michelle rediscovered her love of books and with it the joy and fulfillment of writing her own stories. She spends her days working as a CPA and her nights weaving tales of love, friendship, and everything in between. When she’s not working or writing, you’ll find her binge watching her favorite TV shows, reading, tweeting, hanging with her friends and furry children, or spending time with her close knit extended family. Hailee Mai Hart is just a simple, normal girl. Or so she thought. When she left her one-horse town for a college education in the big city, she never could’ve imagined what awaited her. She’s quickly thrown into a world filled with angels, danger, and a curse…her curse. Come to find out, she’s not so simple after all. She’s actually the last of her kind, and the fate of the world rests on her shoulders. She has one chance to save Earth, and it all comes down to one choice: Light or Darkness. What is right and what is wrong is all a matter of perspective, which leaves her heart dangerously tangled. No matter which path she takes people will die, and that’s just not an option. 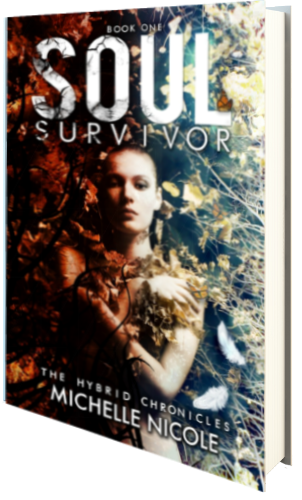 Soul Survivor is only 99 cents on Kindle right now! Lilli “Lee” Adams grew up on the outskirts of Baltimore MD. She graduated from Shippensburg University of PA with a B.A. in Communications; Radio/TV/Journalism. Before joining the record industry, Lee spent ten years working in radio as an on-air personality. 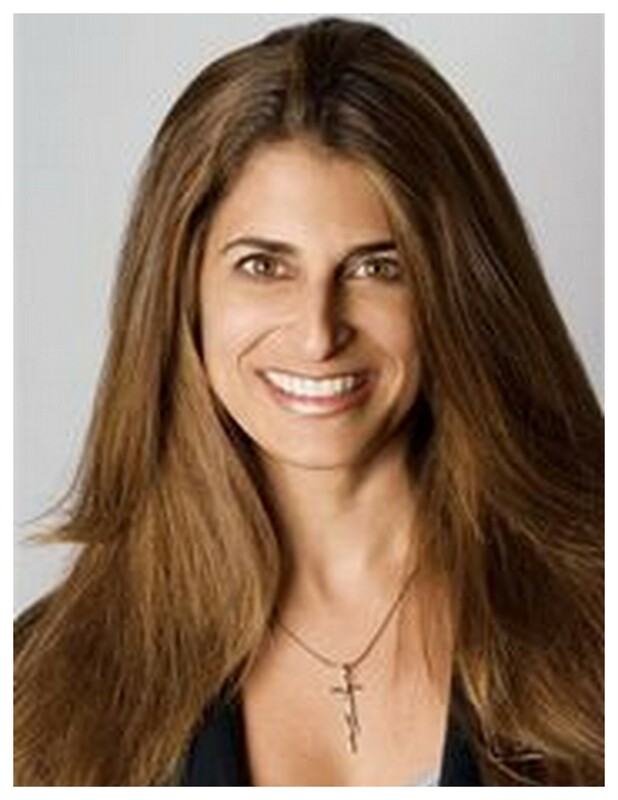 She has traveled extensively in the U.S. and also abroad to Australia, Italy, France, London, Canada, and the Caribbean islands. Her hobbies include water skiing, scuba diving, boating, reading, music and martial arts. She is an active member of her church and the Walk to Emmaus community. Donor Girl, written under her given name of Lilli, was inspired after her experience as a living organ donor. In 2006, her sister called to let her know that her husband was on the kidney transplant list, waiting for a kidney. The wait would take 5-7 years and Dave needed it within one year. The family decided to get tested and Lee’s medical tests came back as a match. Lee looked on the internet and in book stores to find books about living organ donors and couldn’t find many. Some members of her medical team and family suggested she write her story. 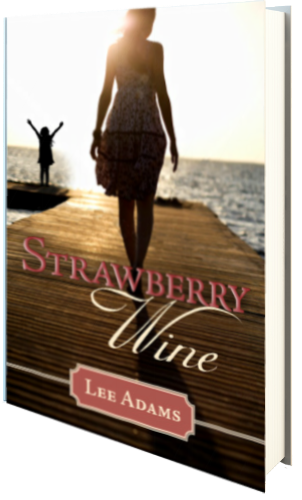 Lee’s first novel, Strawberry Wine, is the story of five friends who grow up together, come of age together and endure a heartache that threatens to tear them apart and destroy the rest of their lives. It’s a story of friendship, forgiveness, and courage. 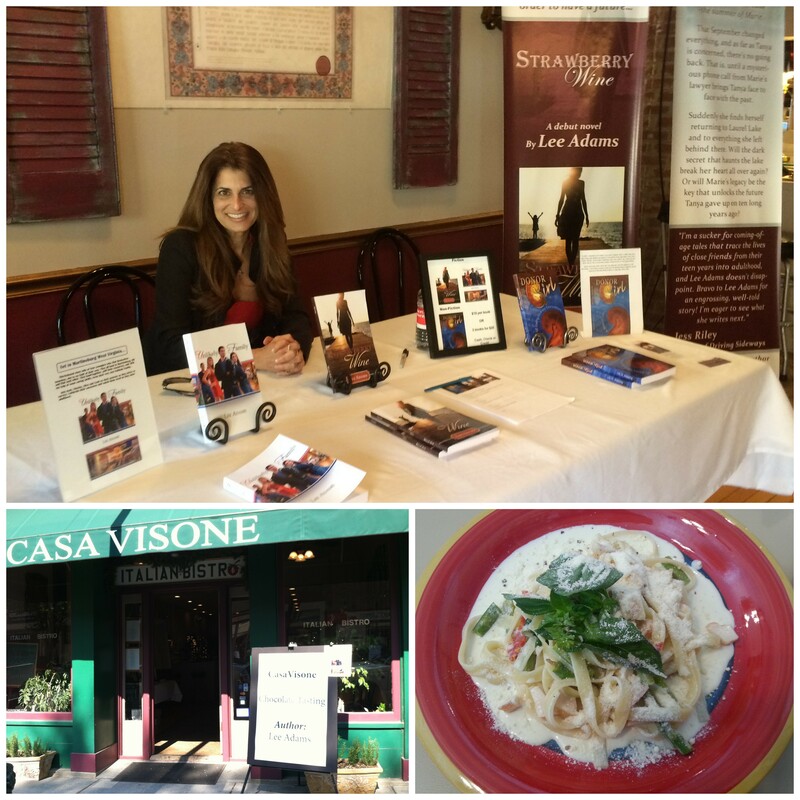 Lee has just finished her second novel, Unlikely Family, and it is available on Amazon Kindle for just $3.99. This is the story of four teenagers who find themselves alone and homeless due to no fault of their own. They join together and with the help of two adults, form their own unlikely family and make it through adolescence. They overcome adversity to find friendship, success and love. Ten years have passed since Taynya Smith’s last summer at Laurel Lake – the summer of Marie. Today Tanya is a confident, successful music promoter – a far cry from the naive seventeen-year-old who showed up at the lake full of rosy notions of first love, lifelong friendships, and evenings spent sipping strawberry wine on the shore. That September changed everything, and as far as Tanya is concerned, there’s no going back. That is, until a mysterious phone call from Marie’s lawyer brings Tanya face to face with the past. Suddenly she finds herself returning to Laurel Lake and to everything she left behind there. Will the dark secret that haunts the lake break her heart all over again? Or will Marie’s legacy be the key that unlocks the future Tanya gave up on ten long years ago? Strawberry Wine is only $2.99 on Kindle right now! When Joshua Anthony finds himself homeless at fourteen, he is determined to survive on his own. 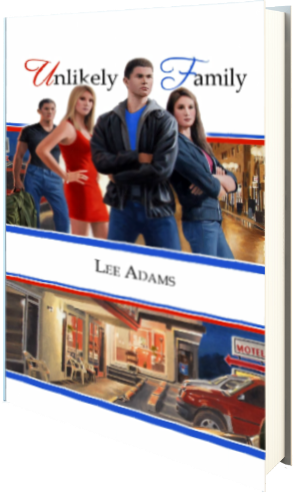 With the help of motel owner Curt, Josh is doing just that when he encounters three other homeless teens; Charles, Elise and Leah. They decide to band together, pool their resources, and form their very own unlikely family. Along the way, they encounter Liz, a 27 year old woman who is down on her luck and needs a break. Will these teens be just what she needs to get her life back on track? Unlikely Family is only $3.99 on Kindle right now!